The group at Carnegie Mellon’s WRCT radio station not only recorded classical music and produced Scotch and Soda records but also did live sound for concerts. 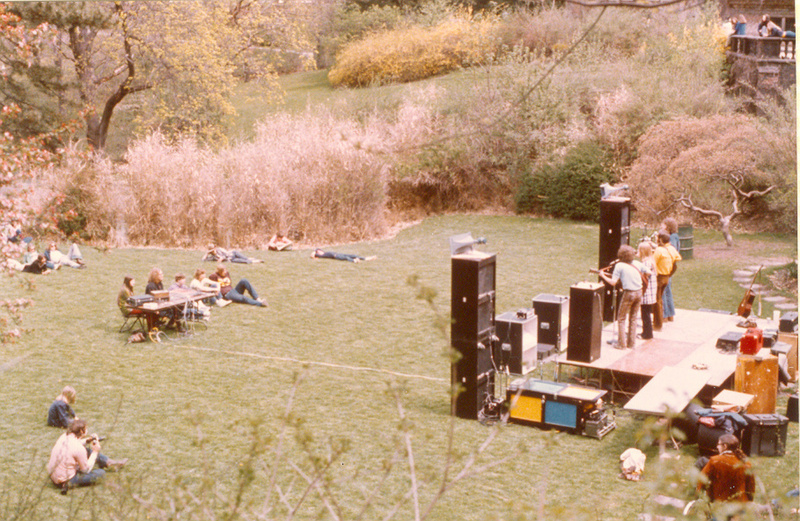 The concert pictured was at Chatham College in 1972. Brian Rosen, who also mixed about a third of the famous Woodstock concert, headed up the sound reinforcement crew. 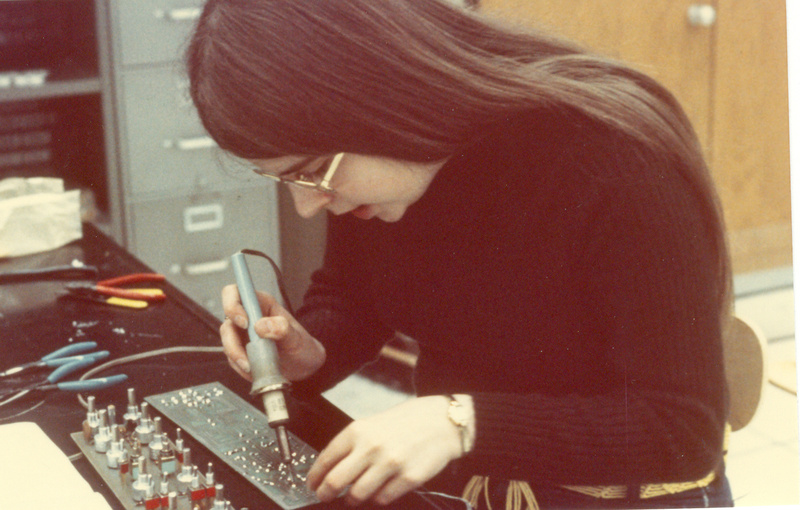 He also worked for the CMU Computer Science engineering lab where we designed and built our mixing boards and power amplifiers. The board shown below was hand laid out with black crepe tape and then photographed and photo-etched in house and then hand soldered. Each of the nine modules was interconnected with a ribbon cable. The resulting twelve channel stereo board was only 3 inches deep and 19 inches high by 32 inches wide. The eight foot speaker columns were built in two sections, the bottom section having wheels. Each column was topped with a commercial horn speaker. The whole system was powered by four – hundred watt lunchbox amplifiers.